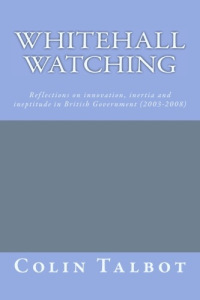 Whitehall Watch has gone – but just to a better place. It has now joined what will be a suite of blogs under the umbrella of Manchester Policy Blogs. If you have come here (by mistake) then please just click this www.manchester.ac.uk/whitehallwatch and it’ll take you to the new home of Whitehall Watch. After nearly four years and over 180,000 hits I have to say it’s been a wrench “letting go”. It has been quite a journey, with more than a few unexpected twists and turns. Above all WW has had far greater impact than I ever thought possible. And reach – it’s extraordinary that its been read in over 140 countries. But, onwards and upwards… so join me and us at our new home.